Detective Constable Karen Thomas from Avon & Somerset Constabulary, a member of the police’s Major Crime Investigation Team, was ambitious, manipulative, and quite willing to disregard the rules for questioning suspects, as well as being unimaginative and lacking in respect for members of the public. She compromised herself by violating Vincent Tabak’s human rights in making him a suspect without a motive, and by misleading the jury about the reason for her trip to Schiphol. DC Karen Thomas telephoned Vincent Tabak on Christmas Eve 2010 while he and his girlfriend Tanja Morson were staying with her parents at Sawston near Cambridge. The Detective Constable questioned him further about his movements on the night of Joanna Yeates’s disappearance. He told her he had been in his flat all evening, before driving in the early hours of the morning to pick up his girlfriend after she left her employer’s works party. How many other people would be able to remember whether they popped out to buy small treats in the course of an evening spent alone at home if questioned about their actions a week later? He added that he had not known Joanna Yeates personally. Did Vincent Tabak also tell DC Thomas that he and Tanja Morson had noticed signs of activity, such as lights being switched on, in the neighbouring flat, at a time when no one was supposed to have been at home? During a subsequent interview, the DC would claim that her suspicions were to be aroused by the fact that he would change his story to include an evening trip to Asda in Bedminster. By her own public admission after the trial, the head of the Complex Casework Unit, Crown Prosecutor Ann Reddrop, had already been asked to assist the police with the Joanna Yeates case towards the end of December 2010. Although the legality of the Schiphol interview was not challenged at the trial, it seems likely that a Letter of Request was presented to the Dutch police for Mutual Legal Assistance to carry it out. Making this application would have been a task for the Complex Casework Unit. The jury was allowed to believe that Vincent Tabak had volunteered to meet the detectives from Bristol at Schiphol, but the fact that the meeting lasted six hours is evidence that he was told to do so. This is because six hours is the maximum time for which a suspect may be held for questioning without charge in Dutch law. Detective Constable Karen Thomas travelled to the Netherlands on New year’s Eve 2010 to question Vincent Tabak, after he and his girlfriend had seen on TV that their landlord had been detained for questioning. The contact was initiated by Vincent Tabak’s girlfriend, who telephoned to Avon & Somerset Constabulary after the two of them had discussed together whether they ought to volunteer further information to the police or whether it would be more prudent to remain silent. Vincent and Tanja had seen a Sky News video of a flustered Christopher Jefferies, surrounded by reporters on the day before his arrest, claiming that the account he had given to the police of his sighting of Joanna on the night she had disappeared had been very very very very much vaguer than he had probably told them a week earlier. Despite the high profile of the case, the public was not told anything about this sensational development at the time. None of the news media carried any headline such as: “Officers from Bristol travel to Holland in connection with Joanna suspect”. More than nine months were to pass before similar headlines were seen after the trial had opened. Chief Constable Colin Port probably insisted on secrecy to avoid alerting the Dutch police that his officers might have violated Netherlands sovereignty. There are also signs that Vincent Tabak’s duty solicitor in the police station three weeks later did not learnt of his interview at Schiphol until after he had been brought before the Magistrate. More than nine months were to pass before the public would learn during the trial about the Schiphol interviews. Detective Constable Thomas testified at his trial that she and a colleague had travelled to the Netherlands to interview Vincent Tabak. She told the court that the main reason for going to meet him was to hear what he had to recount about the curious case of the landlord’s car in the night. Flying to Schiphol would seem to be an “overly eager” response just to hear about an incident that could have been covered by a five-minute telephone call. 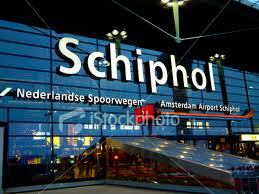 It also emerged in court that Tanja too had been interviewed at Schiphol. So the movement of the landlord’s car in the night was probably just the pretext the Detective Constable gave in court for collecting the young couple’s testimony to what they remembered the landlord doing and saying while Joanna was missing. DC Thomas deceived and manipulated the jury about the purpose of the rendezvous. Volunteering this information as a public-spirited response to the police’s appeal for any information that might help apprehend Joanna’s killer was held against the defendant as an effort to incriminate Christopher Jefferies falsely. Counsel for the Defence William Clegg QC failed to cross-examine DC Thomas about Mr. Jefferies’s version of the episode. If the landlord had denied that his car was facing the other way, then the prosecution would certainly have used this further to discredit the defendant. If not, then Mr. Clegg could have used the episode to discredit this key witness. But he didn’t. Nothing was said in court about the rank or identity of the colleague who accompanied DC Thomas. Was the colleague a senior officer, whose task was to negotiate with the Netherlands police for the authority for conducting the interview? Was her unidentified colleague the head of the Major Crime Review Team, Mark Saunders, the Detective Superintendant who had chaired the very first TV appeal for the safe return of Joanna Yeates? Or was it an interpreter, assigned to translate any conversation that Vincent Tabak and his sister might hold in Dutch? 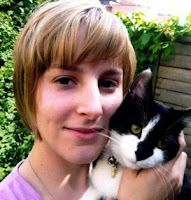 The police investigating Joanna’s murder stated that they had spent £3,468 on interpreters’ fees and other costs. 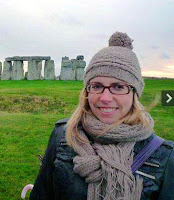 Was this colleague Criminal Intelligence Analyst Lyndsey Farmery, who may have been proficient in Dutch, as it was allegedly she who would subsequently have the task of analysing the contents of Vincent Tabak’s laptop and his other hard-discs. It is obvious from her subsequent testimony on 17th October 2011 that DC Karen Thomas used the protection of the Court to malign the Tabak family, who (together with the girlfriend) had gone out of their way to meet with her at Schiphol Airport. She told the court that both Tanja Morson and Vincent Tabak’s sister Eileen “fussed” over the defendant and expressed concern that he might be tired, “more than you would expect in the case of a grown man. I would describe the sister as a bit of a mother hen”, she added. How ill-bred can you get? Is it any wonder that Vincent Tabak’s girlfriend and sister “fussed” over him as it gradually dawned on them that the Detective Constable had begun to treat him as a murder suspect instead of as a witness? Her testimony suggests that she did not caution Vincent Tabak that she was treating him as a suspect, as she should have done if the interview had taken place under British jurisdiction in accordance with the Police and Criminal Evidence act. 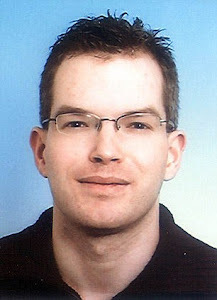 However, the interview took place under Netherlands jurisdiction, so only a Dutch police officer would have had the authority to take his fingerprints and a swab of his saliva that could be used in a criminal case, and a Dutch lawyer furnished with the case papers would have had to be present to ensure that Vincent Tabak was properly informed of his rights under Netherlands law. Nothing in the Detective Constable’s testimony suggest that these requirements were complied with. Were the swab and the fingerprints obtained illegally? Did Chief Constable Colin Port contact one of his Dutch cronies from when he was stationed in the Netherlands in the 1990s to persuade the Schiphol authorities to turn a blind eye to his Detective Constable’s mission? Did DC Thomas deliberately avoid cautioning Vincent Tabak from a fear that he would decide to remain in the Netherlands and force Avon & Somerset Constabulary to apply for his extradition? If he really had killed Joanna, he would expect to be able to count on an examining magistrate in the Netherlands to reject an extradition request that was based on the weak case that was to be rubber-stamped by Bristol magistrate William Summers on 24th January 2011. On the other hand, if he knew he were a suspect for a crime he had not committed, he would have assumed, like all honest citizens, that his innocence would readily be established. The Detective Constable told the Court how fascinated Vincent Tabak had been to hear more about why the police had removed Joanna Yeates’s front door, in full view of the TV cameras. 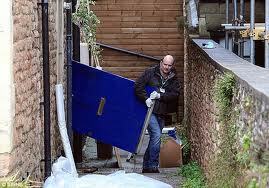 Was this door removal a ruse by A & S Constabulary to enable the Detective Constable to entrap Vincent Tabak? She told him, “Removing the front door of a murder victim’s apartment is standard procedure”. Really? In that case why was it so well covered by the media? The Detective Constable took Vincent Tabak’s fingerprints and a swab of his saliva. LGC Forensics did not need to enhance this swab to analyze his DNA, whereas they had already had four days to subject the low-copy-number partial DNA they had taken from Joanna’s body to their DNASenCE enhancement process. So the match for Vincent Tabak that the police subsequently claimed was found with the “DNA on Jo’s breast” ought to have been available within a few hours of the return of DC Karen Thomas from Schiphol. Why did A&S Constabulary wait nearly three weeks before arresting Vincent Tabak (while the national press daily accused them of incompetence) if there really was a match? Not until 19th January 2011 did the police leak to The Sun newspaper a claim that they had made “a major breakthrough” in their search for the killer. This referred to the “enhanced DNA” match that was the basis for his subsequent arrest, even though, in a TV documentary after Vincent Tabak’s conviction, A & S Constabulary acknowledged that this match could not have been used as evidence to charge him. The anonymous tip-off from a sobbing girl that the police had publicly alleged just after he was taken into custody had led to Vincent Tabak’s arrest was never mentioned in court. The real target of this deception was probably the duty solicitor and the barrister she would instruct, who would be fooled into instigating an abortive bail application. The DNASenCE “enhancement” process used for the partial low-copy-number DNA also destroyed each of the samples, no one else would be able to verify this allegation. When “Operation Braid” was started, the public was urged to come forward with any information that might lead to a conviction. When Vincent Tabak saw on TV in Holland that his landlord Christopher Jefferies had been arrrested, he got his girlfriend to telephone to A & S Constabulary to tell them that he believed the landlord had moved his car during the critical evening. They both recollected Mr. Jefferies asking for Vincent’s help to move his car because of the heavy snow that had fallen during the night after the murder. The landlord, a central person in the case, was never call as a witness to testify about the curious case of the car in the night. The Detective Constable told the court that it was this telephoned attempt to incriminate his landlord that had first aroused the police’s suspicions of Vincent Tabak. 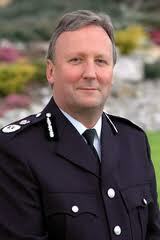 Questioned at the Leveson Inquiry, DCI Phil Jones emphasized that crimes get solved because of information submitted by members of the public. However, anyone who is ever tempted to help the police should bear DC Karen Thomas’s manipulative deceit in mind - and think better of it. Why did DC Karen Thomas not suspect all the ex-pupils and ex-tenants of Mr. Jefferies who gossiped to journalists about him, and all the editors who published reports vilifying him? 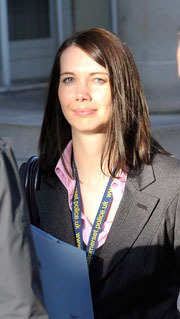 The Detective Constable’s short testimony in court demonstrates that, even at the time of her trip to Holland, she had no more grounds to suspect Vincent Tabak than to make any other arbitrary person a suspect - nor did a motive nor other grounds than dubious forensic evidence ever emerge. There were thousands of potentially better qualified suspects in Clifton that night - men with parking tickets, men who beat their wives, men who cheated the Inland Revenue - and literally millions who could not have proved that they were not in Canynge Road at the time of the murder. A detective who shows no interest in the motive for something as serious as the murder of a stranger must be singularly lacking in imagination. Nor did the implications of his investment in his Ph.D for his motivation have any influence on her thinking. This reinforces the suspicion that the evidence the police needed to justify arresting him, and then charging him, would not be sufficient to convict him in court. This in turn reinforces the suspicion that a confession would be needed to obtain a conviction, and hence the suspicion that neither his plea nor his confession was sound. So the DC’s testimony is very significant. Nevertheless Counsel for the Defence did not cross-examine her. During the 6 hour interview at Schipol Airport, Vincent Tabak gave the Detective Constable an account of his movements during the evening when Joanna was supposed to have been murdered. Her account of the interview occupied 18 pages of her notebook. He told her that he had been to the Asda supermarket in Bedminster. At his trial, a video clip was shown from the CCTV cameras there, showing him entering and leaving twice, and walking along an aisle. The date shown on the clips is 17th December 2010 but no timestamp is visible, so it was invalid as evidence. Her suspicions were aroused by the fact that Bedminster is on the opposite side of the River Avon to 44 Canynge Road, but on the same side of the river as Longwood Lane. Counsel for the Prosecution Nigel Lickley QC would suggest that “It may well be that the body of Joanna Yeates was in the boot of the car at Asda”. At 9.25 p.m., in a message to his girlfriend, who was attending her office Christmas party, Vincent Tabak had sent a text that read: “Missing you loads, it is boring here without you Vxx.” Vincent Tabak told the Detective Constable that he had purchased beer, crisps and rock salt in Asda, but she did not ask him for the receipt. She knew very well that he could easily have obtained these from a supermarket closer to Clifton, such as Tesco Express. However, parking in Clifton Village is very difficult. He sent a text message to his girlfriend at 10.30 p.m. “How are you. I am at Asda buying crisis (sic). I am bored cannot wait to pick you up.” If he really had been engaged in dumping a body, why did it not occur to her that he would have avoided CCTV cameras linking him to the neighbourhood of Longwood Lane, and would have avoided sending such an incriminating text message? If he really had wanted to create a deliberate alibi, as she evidently suspected, why did she not realize that he would have gone to a nearby supermarket in the direction opposite to Failand? Even if she had never seen the 1968 Claude Chabrol film “La Femme Infidèle”, surely she would have realized that a really cold, calculating person would have driven to Failand and dumped the body straightaway, to minimize the risks of being involved in a minor collision, instead of making a non-essential detour to Asda? Did A & S Constabulary deliberately remove the timestamp on the Asda video because they discovered that it gave Vincent Tabak an alibi? According to the police’s Standards of Professional Behaviour, under the heading Authority, respect and courtesy, “Police officers act with self-control and tolerance, treating members of the public and colleagues with respect and courtesy.” Testifying in court that the accused’s sister and girlfriend “fussed over him as if he were not a grown man” and “I would describe the sister as a bit of a mother hen and very concerned that he was tired.” was in breach of this standard, intended to discredit the accused and his family, and disguise the fact that DC Karen Thomas was violating Netherlands sovereignty and the rules for questioning in a criminal case. Six hours was a long time to interview two witnesses about the case of the car in the night and get them to repeat their stories, so most of the conversation must have been used for other purposes that have never been made public. In his capacity as a member of Neighbourhood Watch, Christopher Jefferies had probably told Vincent and Tanja and the neighbours at the time of Joanna’s disappearance about his sightings of her together with one or two other people during the weekend when she disappeared. What he had said to them then had probably been so much at odds with what he subsequently told the journalists who doorstepped him the day before his arrest, that the young couple, seeing him on TV or their laptops, felt obliged to contact the police in Bristol there and then, to set the record straight about what their landlord had actually said to them. The Chief Constable of Avon & Somerset, Colin Port, had been stationed in the Netherlands in the 1990s as an co-ordinator for the International War Crimes Tribunal sitting at the Hague. After he was arrested, the Royal Netherlands Embassy does not seem to have provided Vincent Tabak with even the most basic consular assistance that would be due to any Dutch national in the UK who is charged with a serious crime, namely recommending a suitable lawyer. On his arrest he was represented by a duty solicitor from the police’s list. 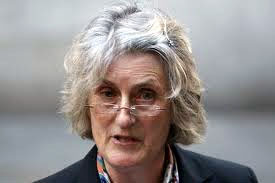 After he was charged, she instructed a local QC from Albion Chambers, who were then manipulated into appearing incompetent by the CPS in connection with the application for bail. After this débâcle, it would have been natural for Vincent Tabak to change his lawyers. The replacement instructing solicitor he got, Ian Kelcey, and his defence QC William Clegg, were both prominent professionally, yet they failed to challenge the unsound manslaughter plea entered at the Old Bailey. Like the dog in the Sherlock Holmes story that did not bark in the night, the Embassy staff did nothing, even after their national had been denigrated in open court by his own defence QC and publicly humiliated following his conviction on grounds that any competent lawyer would have been able to see were phoney. Their silence implies consent. Mr. Clegg has also had war crimes briefs at the Hague. The role he played in the trial of Vincent Tabak suggests that he had become very good friends with Colin Port while he was in Holland. The silence of the Schiphol police and of the staff of the London Embassy indicates that maintaining good relations with Britain was more important to Holland than protecting the human rights of a highly skilled Dutch expatriate in another EU country. This has sobering implications for any EU national who works or studies in another member state.